Difference between revisions of "Jennifer Tarver"
'''Jennifer Tarver''' [https://equityhack.files.wordpress.com/2014/12/pact_cwdc_16may11_v6.pdf] is originally from New York, and is now based in Toronto. She works as a director internationally in both opera and theatre. She is the Artistic Director of Necessary Angel. Her honors include best director 2007 - NOW Magazine, the 2006 Pauline McGibbon Award in Directing, the 2002 John Hirsch Directors Award. Her 2006 work That Time - Five Beckett Shorts, garnered eight Dora Award Nominations and four wins, including best director and best production. A passion for classic texts as well as cutting edge contemporary work defines her career. She founded Theatre Extasis and was the Associate Director at The Theatre Centre in Toronto where she led their new work development program. Jennifer Tarver  is originally from New York, and is now based in Toronto. She works as a director internationally in both opera and theatre. She is the Artistic Director of Necessary Angel. Her honors include best director 2007 - NOW Magazine, the 2006 Pauline McGibbon Award in Directing, the 2002 John Hirsch Directors Award. 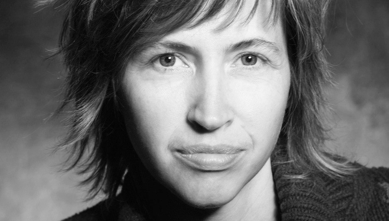 Her 2006 work That Time - Five Beckett Shorts, garnered eight Dora Award Nominations and four wins, including best director and best production. A passion for classic texts as well as cutting edge contemporary work defines her career. She founded Theatre Extasis and was the Associate Director at The Theatre Centre in Toronto where she led their new work development program. She holds an MFA in Directing from the University of Alberta and a BFA in Performance from the Manhattan School of Music.